On Wednesday, March 22, the Cybersecurity Association of Maryland met for its inaugural awards celebration. 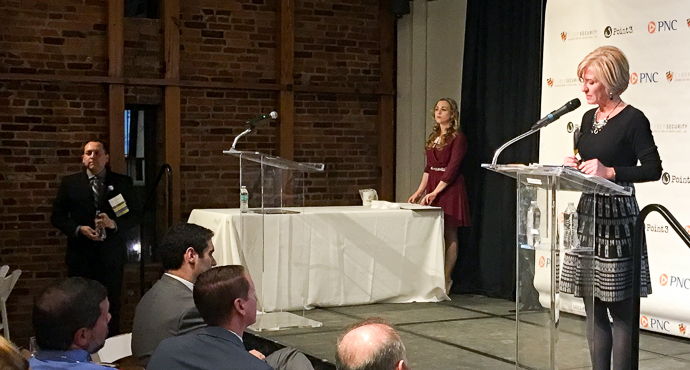 Convening at Baltimore’s Visionary Art Museum in the Inner Harbor at the base of Federal Hill, Maryland Cybersecurity celebrated some of the state’s leaders in information security practice and innovation. Frederick County selected Antietam Technologies to receive its award. Headquartered in Frederick, Maryland, Antietam Technologies specializes in advanced detection, analysis, and mitigation of cyber threats. 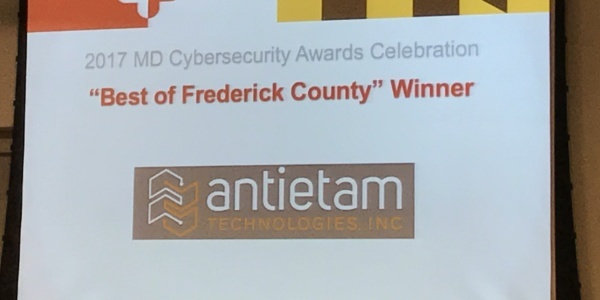 Antietam Technologies, Inc. was awarded 2017 Best of Frederick County Winner by the Cybersecurity Association of Maryland during their Maryland Cybersecurity Awards celebration. Antietam was recognized for their success in protecting businesses/government entities from cyber threats, attack, and danger. Antietam Technologies, located on Buckeystown Pike, Frederick, was founded in 2006 and provides cutting-edge solutions, processes, and protections to their clients. Over the past two years, they have been the lead investigator and response coordinator to multiple high profile system compromises.